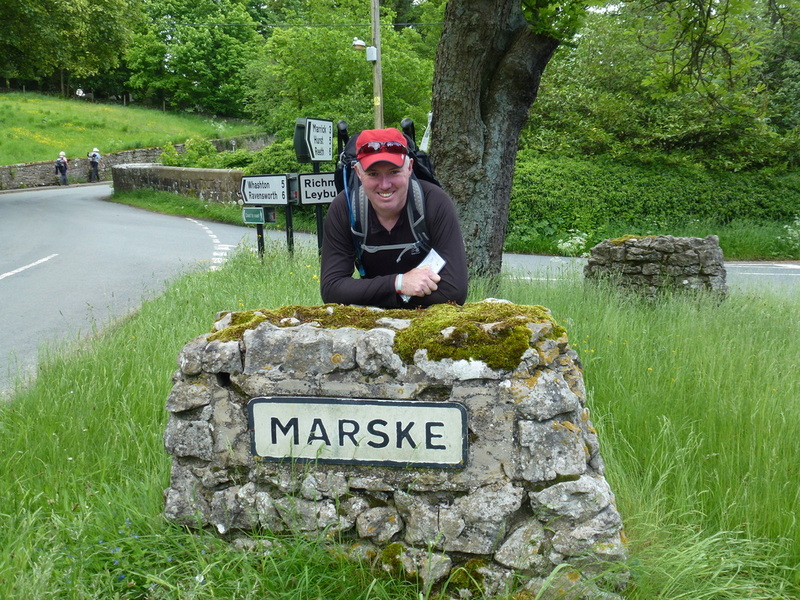 After another lovely full English in company with Mark & Irene, we left Reeth at 0930 just as Simon from Packhorse was collecting our baggage from the B&B. The weather promised to be sunny until mid afternoon when it was destined to rain and that is exactly what happened. 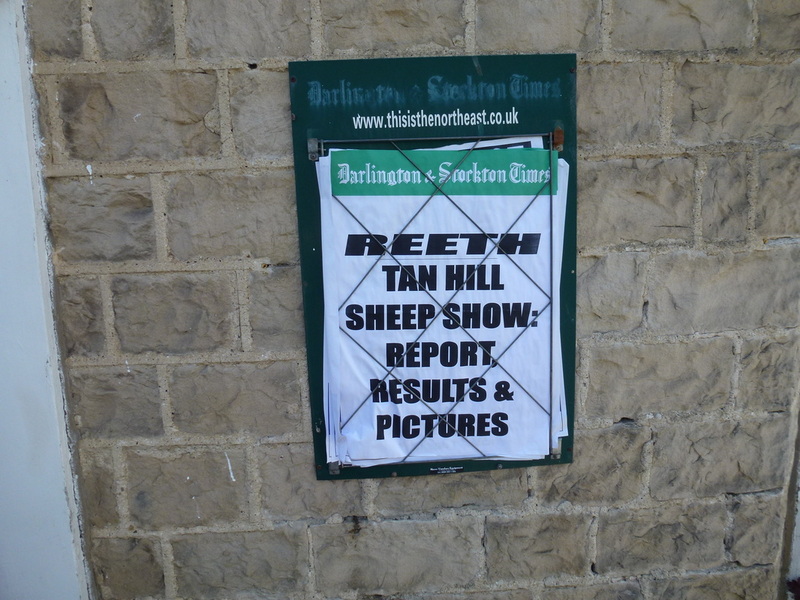 Reeth was absolutely buzzing and the village green was awash with cars and people as we headed out towards Grinton – there was clearly something going on that day. 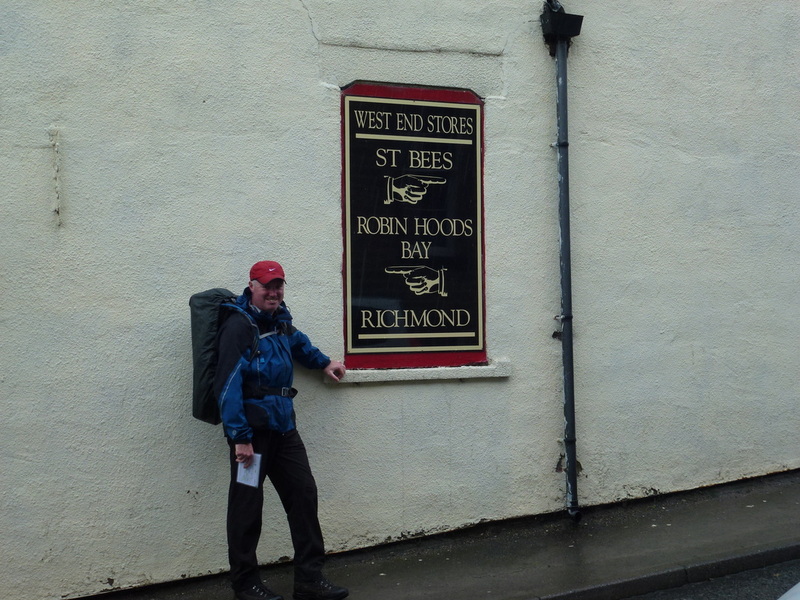 ​The walk to Richmond starts off very gently as the C2C makes its way to the tiny villages of Marrick and Marske. Arriving at Marske just after lunch we spotted a sign for The Lodge Tea Room and decided now was as good a time as any to take a break. 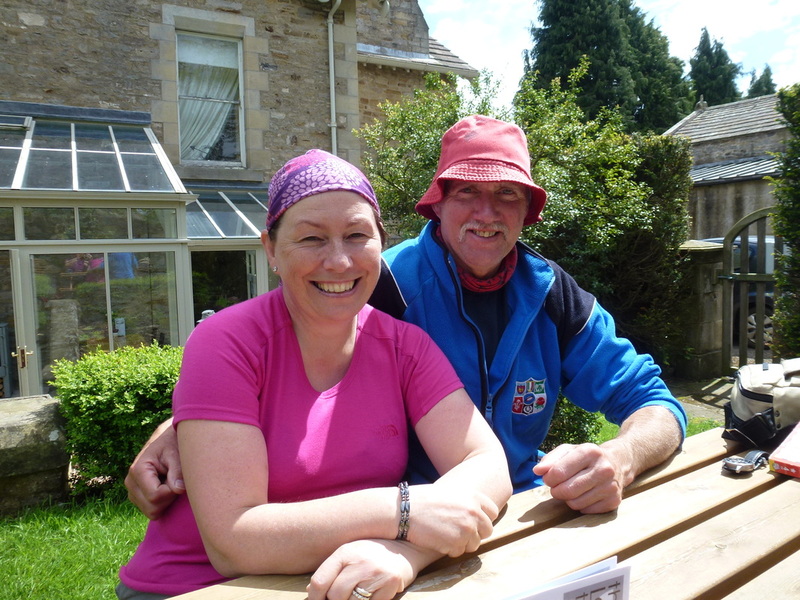 The Lodge was full of people doing the C2C including Mark & Irene plus a group of four people we met at Marrick who we had christened the posh people. A large group of people seemed to take the tearoom owners by surprise and we waited an age for our cake and tea but it was worth it! 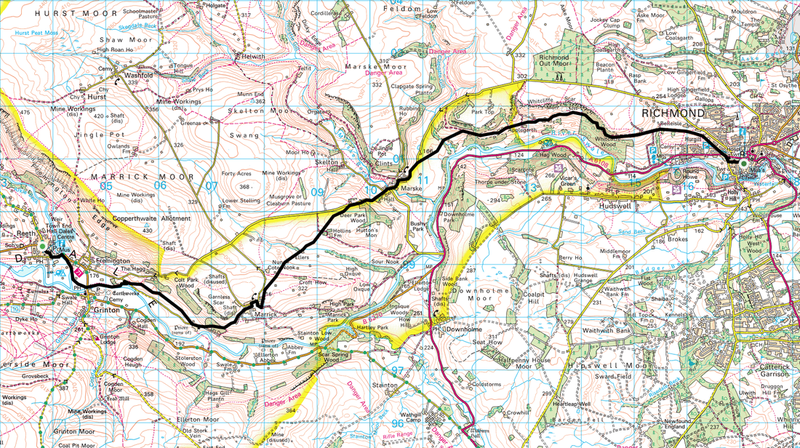 Suitably refreshed we made our way out of Marske, over Paddy’s Bridge and up to the white Cairn on Applegarth Scar. It was just prior to entering Whitecliffe Wood where our luck ran out and the heavens opened – on foul weather gear for the remainder of the day. We then made our descent into Richmond, passing Mark & Irene at High Leases Farm. 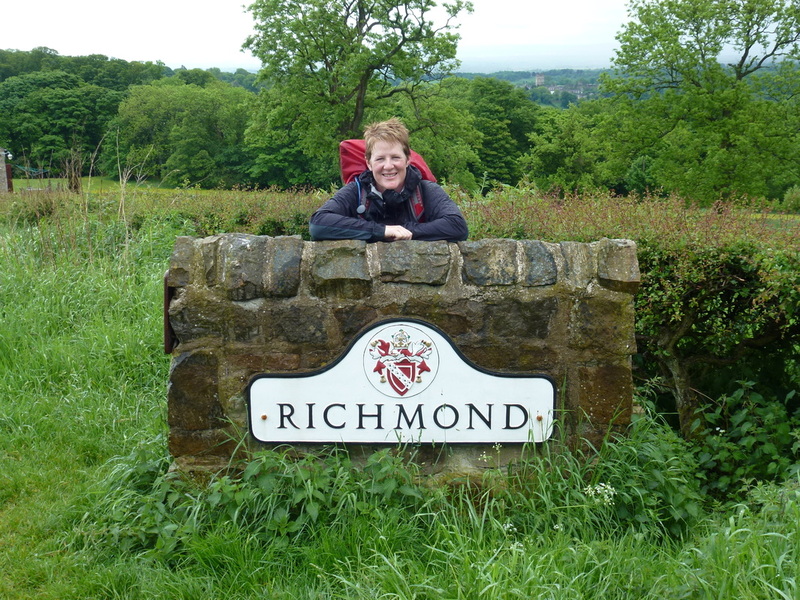 There then supposedly appears a superb view of Richmond from the path, particularly the Norman Keep – it is just a shame we were walking through a thick grey soup and could only just make it out! 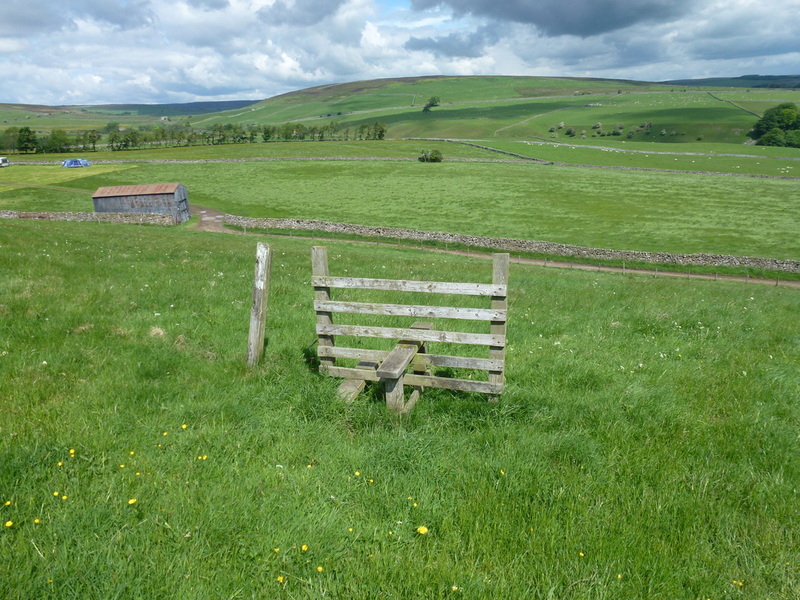 Notwithstanding the indifferent weather, this was a really good days walking in very picturesque countryside. The decent pint of ale in the Black Lion in Richmond finished the walk off nicely. After settling in at our B&B, Willance House we met Dave’s Brother and his wife for dinner and enjoyed a lovely meal at the La Piazza Italian Restaurant. Tomorrow is a planned rest day to enjoy Richmond and sort out admin, washing and to restock on the basics before starting on the final few days of the walk. 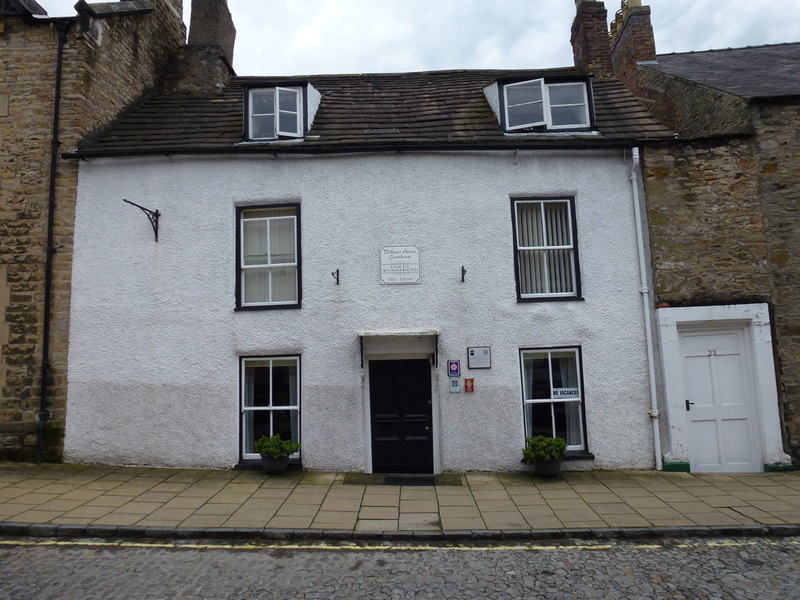 A really good B&B tucked away off the Main Square, close to all amenities. Colin & Sandra were very welcoming and run a lovely business which was our home for 2 nights. Great facilities, historical interest – oh and a very tasty breakfast!